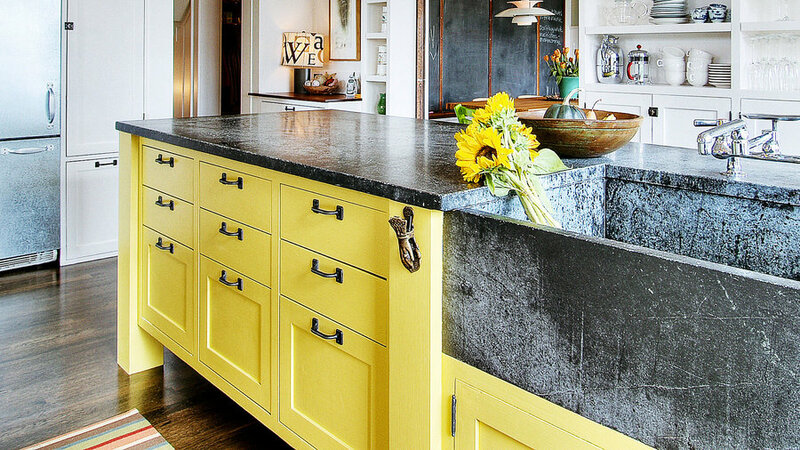 In a world of white kitchens, a broad stroke of color surprises. Try it on just the lower cabinets or the island, as in this Seattle kitchen by JAS Design Build (jasdesignbuild.com), to give the room a shot of energy. In open-floor plans, it helps to select a color that continues your home’s palette for a blended look. If making the kitchen stand out is your goal, choose a saturated hue, but keep the other elements subdued or raw to showcase your choice. Good news: Painting your cabinets is a project you can do yourself to save money (but plan for more than a weekend’s worth of work). Get full directions at sunset.com/cabinets. When the cabinetry is understated—like the Shaker style in bleached wood here—use tile to shift the room out of neutral. 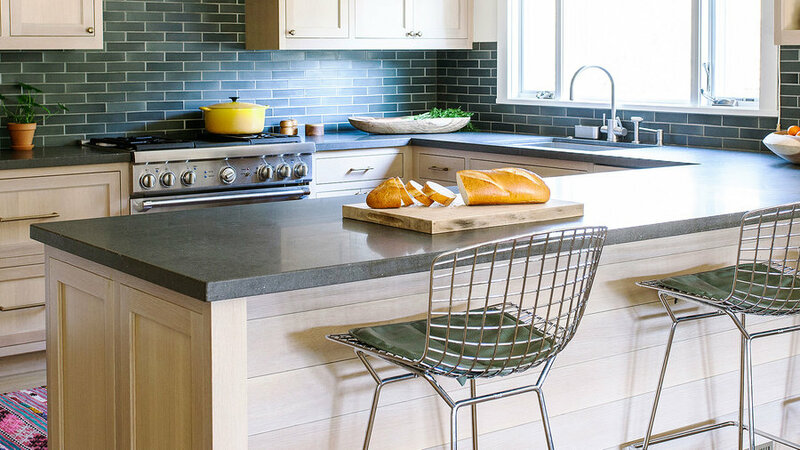 The moody green tile back-splash chosen by designer Caitlin Moran (caitlinmoraninteriors.com) riffs on the gray countertop. Kitchens in white will always look smart, but to add oomph, choose natural materials like leather, and include some vintage accessories. 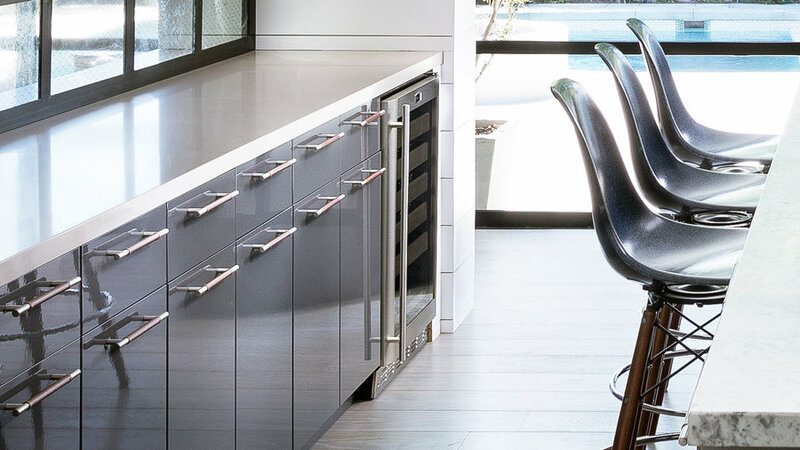 For a warm color that’s right in every lighting scenario, designer Amber Lewis (amberinteriordesign.com) swears by White DEW380 by Dunn-Edwards for both cabinetry and walls. “It’s just killer,” she says. 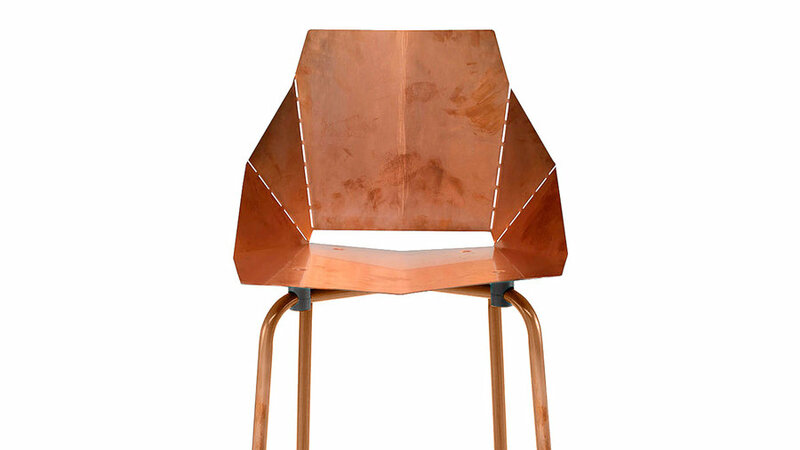 To keep boredom at bay, Lewis also suggests using lots of hardware in a standout finish like copper or brass. This lighting style, recalling yesterday’s warehouses and barns, has become a classic. 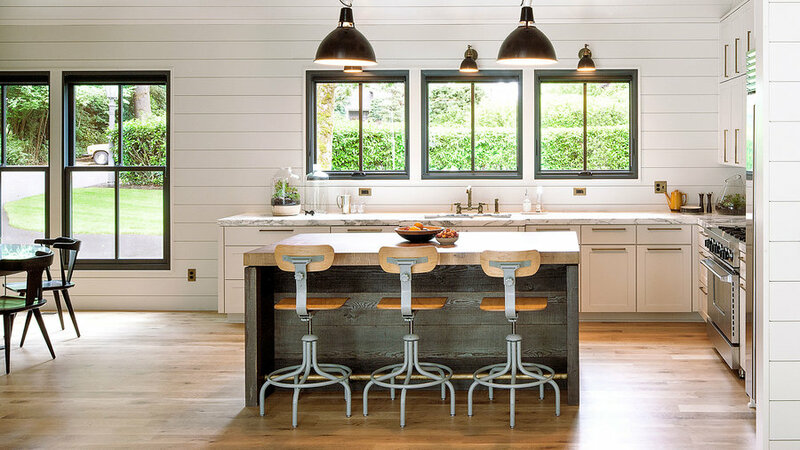 Four fixtures above the large island drive home the vintage-meets-modern mix. The Brown Design Group (browndesigninc.com) created a 3-D effect for the backsplash by installing diamond-shape tiles in two colors to suggest cubes. Eliminating upper cabinets allowed the counter-to-ceiling application to be the kitchen’s focal point, and highlight the pitched ceiling. 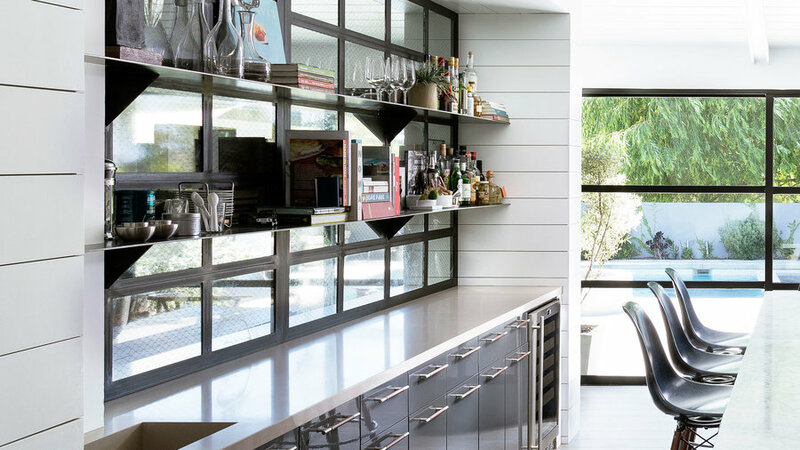 An interior window framed in steel lets light pass between the kitchen and dining room—and brings an industrial quality to the design, as do the bracketed metal shelves hung over it. Light wood stains and whitewashes are rare in kitchen flooring because they show every crumb. 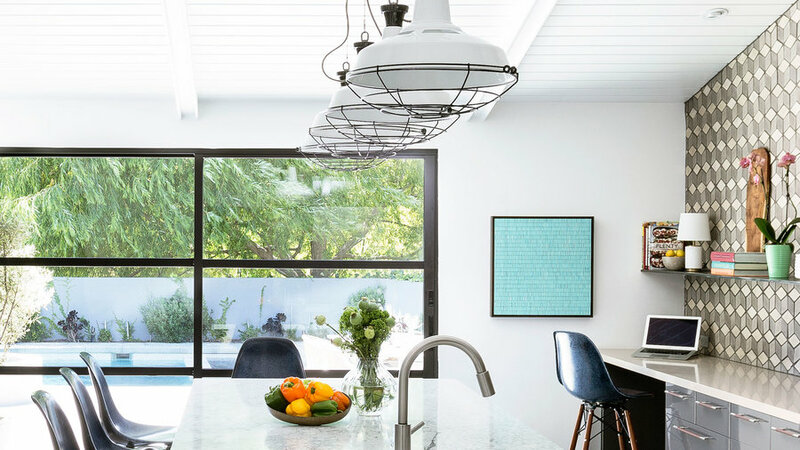 Still, it’s worth it here, where the floors combine with the paneled ceiling to create a bright envelope that contrasts with the gray cabinets. A break in the lower cabinets (far from stove splatter) makes room for pulling up a counter-height chair and getting some paperwork done while dinner is cooking. Horizontal paneling paired with marble and stainless steel: This is clean country at its best. 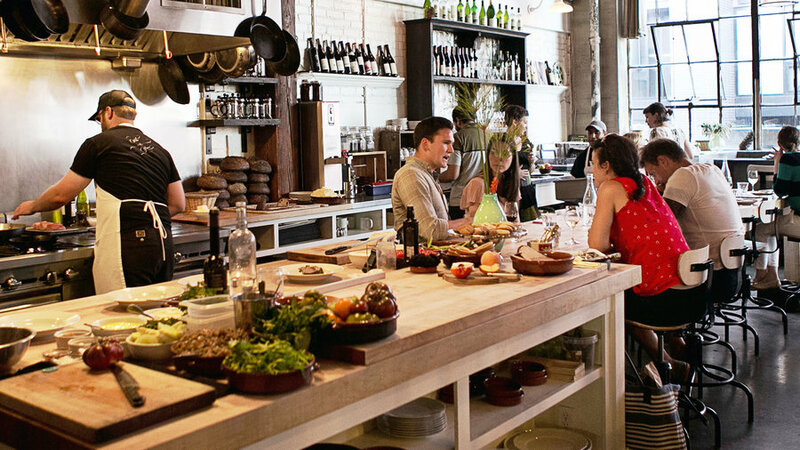 Would you expect anything less from the founder of homewares company Schoolhouse Electric (schoolhouseelectric.com)? Brian Faherty’s home serves as a testing ground for the company’s old-is-new collections (those are its Drafting Chairs as barstools and Factory Lights No. 7 pictured here). In your place, focus on mixing rustic touches—like reclaimed wood and quality reproductions—with marble and modern hardware and fixtures. These seats are often taken, and they’re front and center in the kitchen, so they need to feel good and look good. Here are the stools that designers are pulling into their projects across the West. Real Good (pictured). $399; wayfair.com. Giron Brown Leather. $795; abchome.com. Knicker with cushion. $299; wayfair.com. Adela in Smoke. $275/set of 2; wayfair.com. Paint color Planetarium 560D-7. behr.com. Le Creuset stoneware French press. $65; wayfair.com. 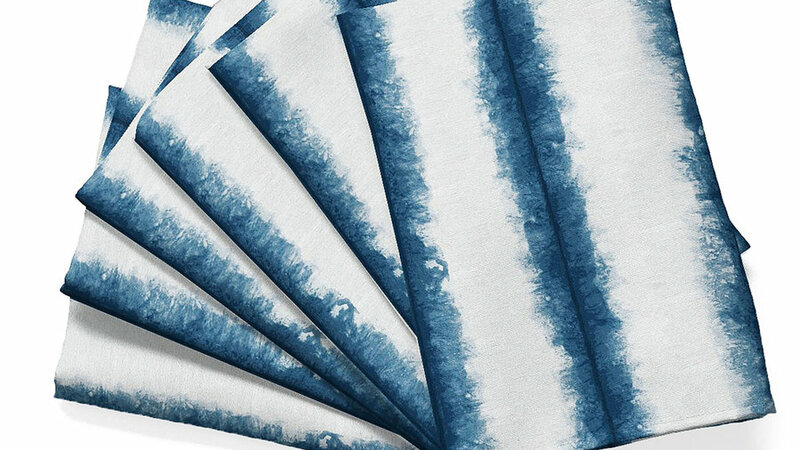 Accordion in dark blue reverse cotton napkins (pictured). $50/set of 6; guildery.com. 36-inch Tuscany gas range TVDR 3604BSS in dark blue. $13,889; vikingrange.com. Open shelves: The see-it-all, easy-grab feature that’s proven to have real staying power in home kitchens. Glass backsplash: Mirrors are the cafe backsplash du jour. They’re impractical at home, so many designers are using sheets of glass for a similar seamless, subtly reflective surface. 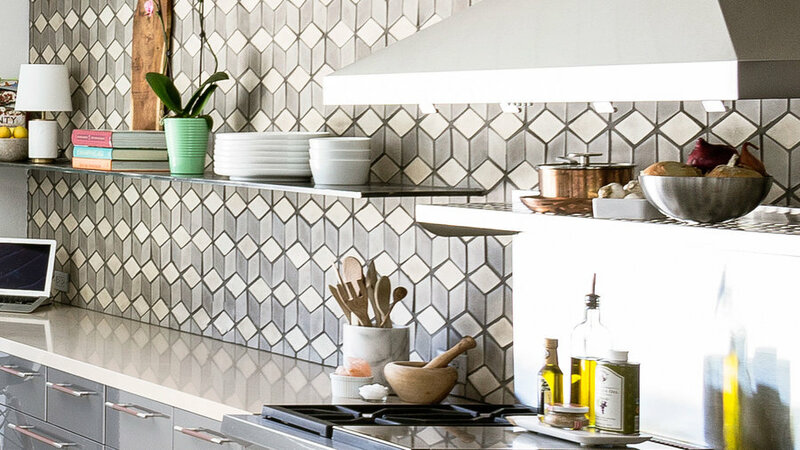 Bold tile: It’s color, pattern, and texture in one—and a million times more interesting than subway. Butcher block: The ultimate prep surface (cut directly on the block, wipe down with soapy water) whether you’re cooking for 3 or 300. Every designer we talked to agreed: Quartzite is the new “it” material, especially if you want the look of marble with less care and lower cost. “Grey Goose” (similar to Calacatta, pictured) is Los Angeles designer Ana Henton’s (mass-arch.com) favorite variety. “I wish I could keep it a secret forever,” she says. Available at Daltile (daltile.com). 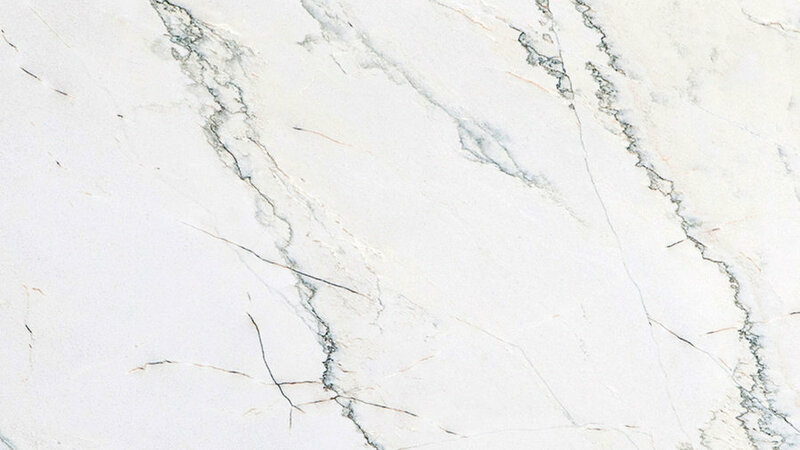 Calacatta Quartzite Q721 (pictured): Looks like marble, with thinner veining. Blue Fusion Q722: A swirling sea of blues and greens. Ocean Tide Q716: Blue strokes that look like brush marks. Crystallize Q705: Cream with ribbons of gray and gold. Call it “onyxpected”: With marble dominant in the kitchen, it’s easy to forget there are other natural stones available. 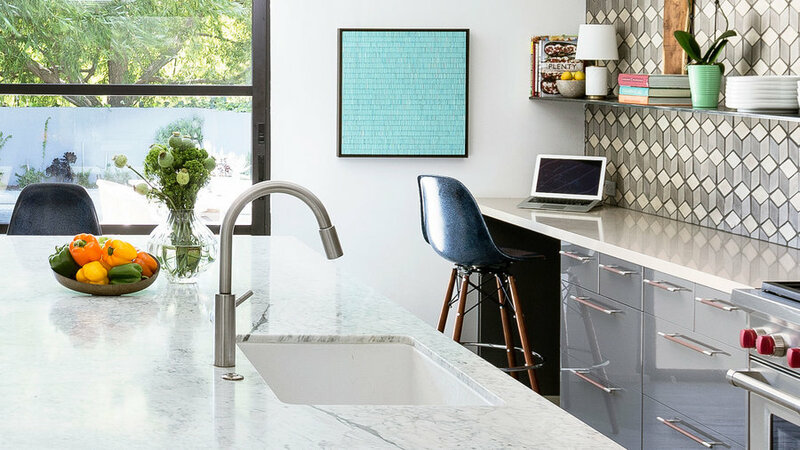 Onyx, used by designer Christina M. Tello (tellointeriors.com) as a backsplash in her Portland kitchen, is a piece of art—no embellishment required. 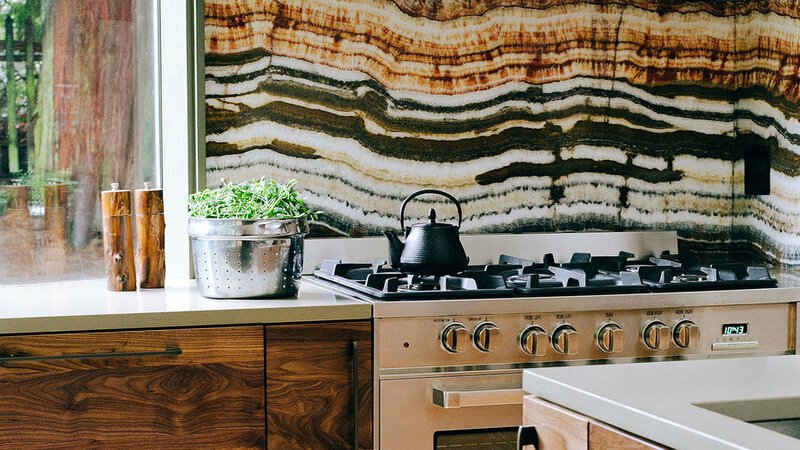 The veining in this slab looks like petrified wood, but you’ll find golden and red patterns as well. See msistone.com for a dealer. 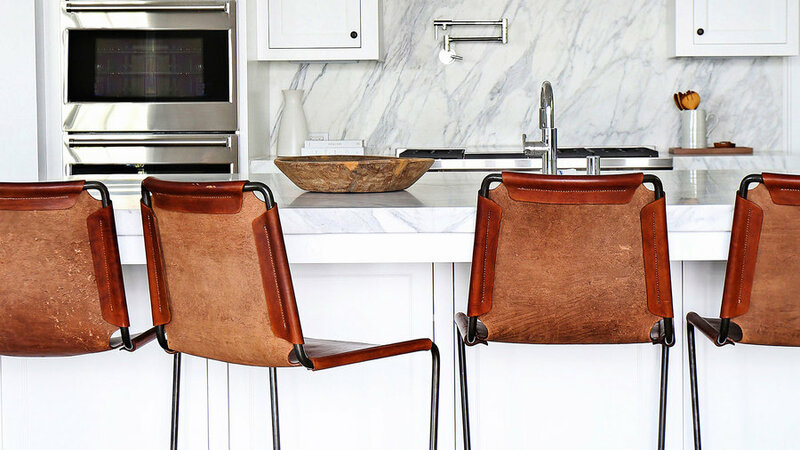 We can’t get enough of leather cabinet pulls. This one will only add more character as it ages. 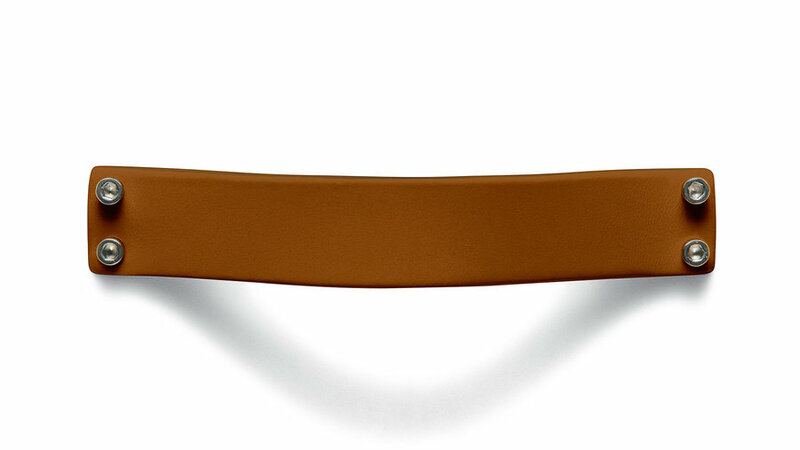 Sling Leather Pull small in warm beige; $15; knoll.com.